WordPress is overkill for 90% of small business websites, especially if they are only every going to ask the web developer to make changes. Static websites used to be just that, static, but now it is possible to create static websites that are simple (relatively) to update dynamically. Hugo is a Golang project that has been built to take static websites to the next level. It uses a ‘wiki’ style simple markup rather than html, and folder based system to enable content management and has the concept of posts, so can be used as a blog too. and then it is case of pushing it out to where ever you want to host it. You can host it anywhere really from a shared host, you own sever or wealth of other services – two obvious ones are Amazon Web services S3 and Google Cloud Storage. Now CNAME only works on sub domains, so you are ok for www.mydomain.com but not mydomain.com. One solution is to set a 301 redirect at your registrar to from the naked a domain to www and cname the www. However if you don’t have that facility CloudFlare allows you to CNAME the naked domain. 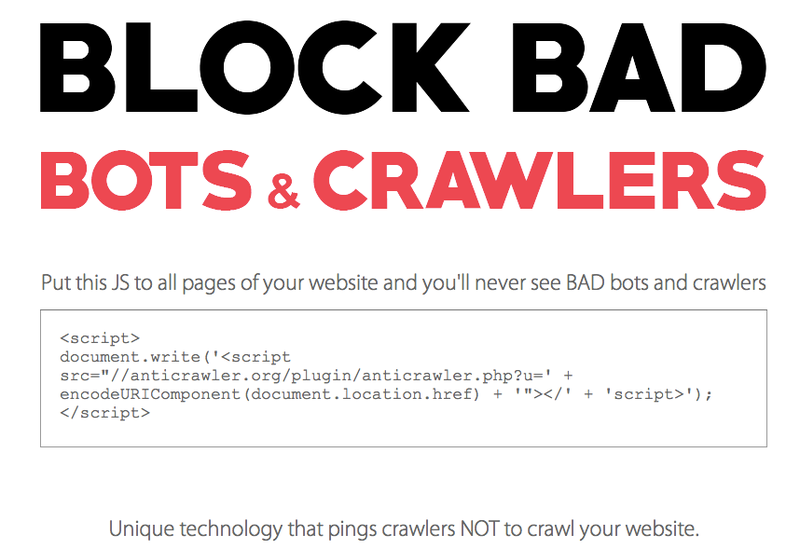 ( They call it CNAME flattening ), and can also use Cloudflare to redirect the www. to the naked domain, so you have a perfect solution. So for the moment whilst this work well for a subdomain I can’t see it being viable for a full website. I guess wrap that up in a little ‘release’ script to make it easy. Next I’ll look at hosting Hugo sites on Amazon. I noticed I got referred from anticrawler.org on my Piwik analytics. Obviously suspicions were immediately raised, but required some further investigation. There is no further information, so trust level has to be zero. So I looked up their domain, and not surprisingly the identity is hidden. They want you to run a program that is totally hidden ( anticrawler.php runs server side) so you have no idea what it is really doing, so adding this code could do anything. 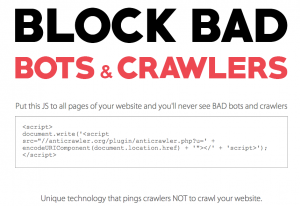 I would guess it is actually going to ping lots of bad bots to start attacking your site or giving you fake traffic or serving you ads or something not good. My advice is not to add this code, unless you are an expert and really going to investigate and monitor the impact and what happens, in which case, please leave mea comment and let me know. If you want to be kept up to date with my occasional NEWSLETTER please sign up in the sign up box. I have done some research and it seems that aol e-mail has been pretty shakey in the past, but I am concerned it might be something to do with my server set-up. But looking at forums, it seems this might be a pretty common issue that just appears and goes away! What is your experience of sending to aol? Could it be my servers or is it just AOL? GoDaddy service fails millions of websites. Today, Monday 10th Sepetember, Godday has crashed. TheMain site Godaddy.com is accessible but technical problems means that millions of sites have been offline. Even sites that are not hosted on godaddy have been impacted, as any forwarding of sites via DNS A records seem to be impacted too. In the case of ‘badlywired’, even though we run on our own servers unfortunately the Nameservers are doamins are on Godaddy, and that makes our sites unreachable to anyone that hasn’t got our IP addresses cached. So there is a lesson about putting all your eggs in on basket isn’t there. So now I’m thinking how best to diversify Nameservers.